California’s new fuel efficiency standards boldly aim to reduce emissions and fuel consumption. No industry, let alone the auto industry, asks to be regulated. And if just five years ago you told automotive insiders—industry executives, environmental advocates, and California regulators—that this is how it would turn out, nobody would have believed it. Automakers didn’t ask for new regulations, but in the interest of long-term regulatory certainty, they sat down with federal regulators, discussed terms, and ultimately agreed to higher efficiency standards through 2025. The standards will nearly double fuel efficiency and cut greenhouse gas emissions from new vehicles in half over a 15-year span. Remarkably, in just five years, automakers went from vociferously fighting new standards with multiple lawsuits to seeking a compromise. In 2009 and 2011, they stood beside President Obama while he publicly announced stricter standards for 2016 and even tougher standards for 2025. The California Air Resources Board, environmental organizations, and consumer advocacy groups are also on board with the new fuel-efficiency targets. Remarkably, in just five years, automakers went from vociferously fighting new standards with multiple lawsuits to seeking a compromise. Two new studies reveal how this outcome was achieved. The first examines automakers’ fuel economy compliance data to quantify the underlying engineering factors and technical inefficiencies within the existing vehicle fleet. It reveals that many efficiency opportunities are available and that more efficiency innovations will continue to emerge in the marketplace. The second study assesses the importance of the long regulatory lead-time, which allows for investment, engineering development, technology deployment, and automaker support for the progressive 2025 standards. 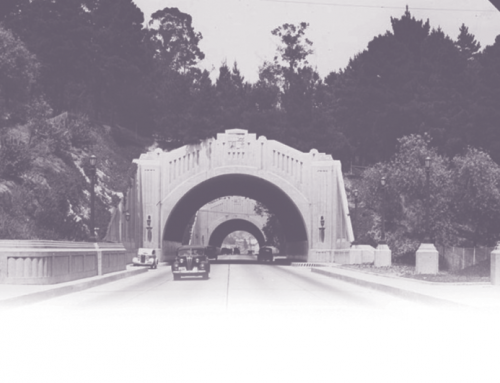 As with previous efforts to make cleaner vehicles, it all started in California. 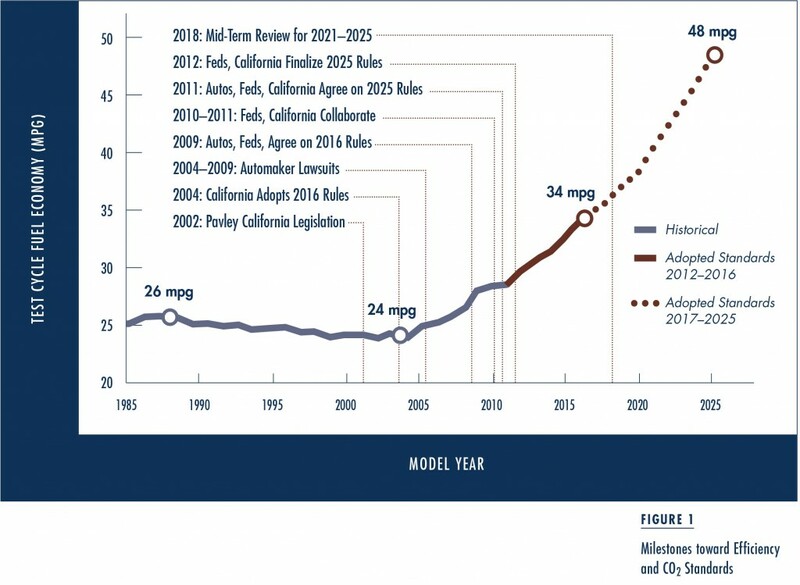 In 2004 the California Air Resources Board regulated the greenhouse gas emissions from automobiles through 2016, forging the first major climate policy in the US. Opponents of the regulation argued that states do not have the power to regulate vehicle fuel economy. But after years of litigation, four federal courts and the US Supreme Court all ruled in favor of California’s authority to regulate CO2 emissions. Since CO2 emissions move in lockstep with fuel consumed, regulations reducing CO2 also increase fuel economy. In 2009, the federal government made California’s target of 250 grams of CO2/mile, which is equivalent to a Corporate Average Fuel Economy (CAFE) standard of about 34 miles per gallon (mpg), the nationwide law for 2016. This broke a three-decade-long deadlock, during which regulatory standards for new vehicles had hovered around 25 mpg. Before the ink had dried on those federal rules, California was working on its next big moves to achieve the far-reaching 2050 climate stabilization goals of its “Global Warming Solutions Act.” Beginning in 2009, the three agencies with regulatory authority in this area—the National Highway Traffic Safety Administration, which develops CAFE standards; the US Environmental Protection Agency; and the California Air Resources Board—worked to develop new 2025 vehicle standards. The three agencies published a pre-regulatory document that assessed the technologies and costs necessary to achieve fuel economy between 47 and 62 mpg in 2025. That effort spurred further regulatory stakeholder meetings with automotive engineers, suppliers, labor, and others. When the dust settled, the resulting 54.5 mpg (163 gCO2/mile) agreement with automakers fell in the middle of the much-debated range. The final detailed provisions were hashed out in the formal regulatory process that wrapped up in October 2012. 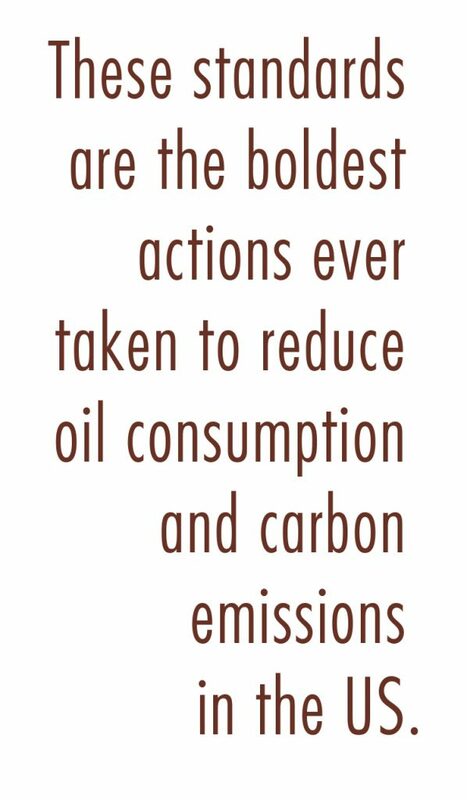 These standards are the boldest actions ever taken to reduce oil consumption and carbon emissions in the US. By now, we all know the disclaimer: “Actual mileage may vary.” A few basic adjustments will affect what the 2025 standards really mean for auto consumers. Automakers will get credit for using improved air-conditioning technologies that do not directly increase fuel economy under the standard city-highway regulatory test. The deployment of low-global-warming refrigerants will earn credits that reduce the target from 54 mpg to about 48 mpg. The standards also give automakers special credits for vehicles that employ advanced technologies like plug-in electric vehicles and hybrid gas-electric pickup trucks. The credits provide greater incentives for the development of nascent technologies, but they also further reduce the effective fuel economy targets. The real-world fuel economy—listed on automaker advertisements, consumer labels, and government websites—has historically been 20 percent lower than the official regulatory test procedure used for automaker compliance. This gives consumers a real fuel economy of about 39 miles per gallon for the average new vehicle in 2025, as opposed to the 2011 average of 23 mpg. This 20 percent difference between the official CAFE number and actual mpg is caused by factors like US drivers’ aggressive acceleration, idling time, high speeds on the highway, and accessory use. Beyond these basic adjustments, the announced standards also contain more complex provisions. Each automaker is subject to varying standards based on its sales-weighted average vehicle size (or “footprint”) and its mix of cars versus light trucks (like sport utility vehicles and pickups). This leads to an important point about the structure of the standards: by design, all the vehicle types are pushed to achieve about the same percentage efficiency improvement. In practice, this means that manufacturers making larger vehicles, like US-based General Motors, Ford, and Chrysler, will get less stringent absolute standards. As a consequence, the new rules push all automakers to install new technologies but they do not push for vehicles to be smaller. These provisions were necessary to achieve industry buy-in. The standards require about the same level of emission-reduction and efficiency improvement across all vehicle sizes and classes. In terms of carbon emissions, this is a 45–50 percent reduction in CO2 emissions per mile. In terms of fuel economy, an average compact car today that gets 30 mpg will achieve about 51 mpg in 2025, and today’s 17-mpg-full-size pickup will achieve about 29 mpg in 2025. Makers of compact cars, crossovers, and full-size trucks will utilize an array of rather dramatic technological improvements. However, the regulation is a performance standard that allows automakers to develop their own diverse technology strategies to comply. The new standards also allow the mix of future vehicles (i.e., how many compacts, crossovers, and pickups) and their resulting mpg to fluctuate somewhat depending on market forces (e.g., the price of fuel) yet remain compliant from a regulatory perspective. How will automakers achieve the new standards? Better fuel economy is, at its heart, a matter of physics, engineering, and economics. The basic physics of the modern automobile involve an uphill battle to eke out as much energy as possible from fuel to propel the vehicle. An overwhelming amount of the energy contained in the fuel dissipates on its way to the wheels. The most prominent energy loss occurs in the engine itself. Vehicles lose over 70 percent of fuel’s chemical energy to the thermodynamic, friction, and pumping losses that take place during the internal combustion process. Most of this energy turns into wasted heat instead of propelling the vehicle. After we factor in auxiliary and accessory power draws (power steering, air conditioning, electronics), idling when the vehicle is at rest, and transmission losses, about 15 percent of the fuel’s energy makes it to the wheels to accelerate and maintain the desired vehicle speed. The good news is that there are numerous technical solutions to combat those losses. Automotive engineers have developed far more sophisticated valvetrains to optimize the precise timing of fuel and air intake and exhaust. Turbocharging with gasoline direct injection is the get-more-with-less approach that can provide more power and make gasoline engines operate like fuel-efficient diesels. Transmissions with more gears and optimized controls ensure that the engine’s torque and speed are consistently near their highest-efficiency “sweet spot.” In fact, new dual-clutch transmissions, which eliminate the torque converter and minimize power losses between the engine and wheels, are now giving automatics better efficiency than manuals. Vehicle design improvements—sleeker aerodynamics; advanced, stronger and lighter materials; and lower-rolling-resistance tires—all mean that automakers can drastically reduce the vehicle powertrain energy requirements without degrading vehicle size, safety, acceleration, or utility. Fortunately, all these incremental technologies are sitting on automotive engineering shelves, ready to be deployed. Their use is more an opportunity for automakers than a burden. As Chrysler-Fiat CEO Sergio Marchionne said just after the 54-mpg agreement: “It will be a huge boost for the industry. It’s like walking into a toy store, and you can use any toy off the shelf to get you there.” Federal regulators found that manufacturers can reduce the fuel consumption and CO2 emissions of essentially every class of light-duty vehicle from subcompact to pickup truck by over 45 percent with these low-cost, incremental technologies. In addition to deploying these near-term improvements, automakers are developing different and more exotic electric-drive configurations. They seek to match or beat the efficiency, price, and cachet of the Toyota Prius with their own hybrid and plug-in battery electric vehicle designs. The new CAFE standards, by government agency estimates, may not drive electric vehicles into the mainstream because new gasoline-driven technologies are more cost-effective. But automakers will continue to pursue advanced electric-drive technologies because they must comply with existing mandates like California’s Zero Emission Vehicle regulation, and they anticipate stiffer regulations beyond 2025. They also want to bolster their green credentials with cutting-edge “halo effect” models. Automakers will continue to pursue advanced electric-drive technologies because they must comply with existing mandates like California’s Zero Emission Vehicle regulation, and they anticipate stiffer regulations beyond 2025. 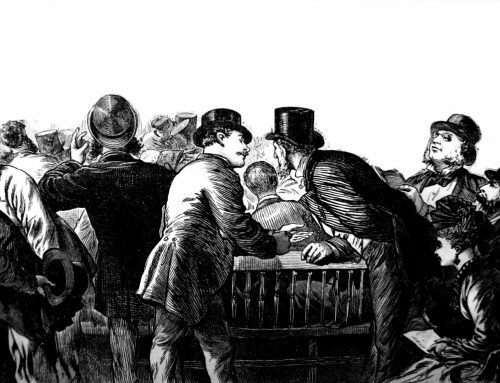 Reaching an industry-government agreement required not only that compliance was technically feasible, but also that the consumer economics made good sense. Even though consumers rarely calculate the potential fuel savings for competing vehicle models of different efficiency levels, they still tend to purchase available low-cost efficiency technologies that pay back within several years. 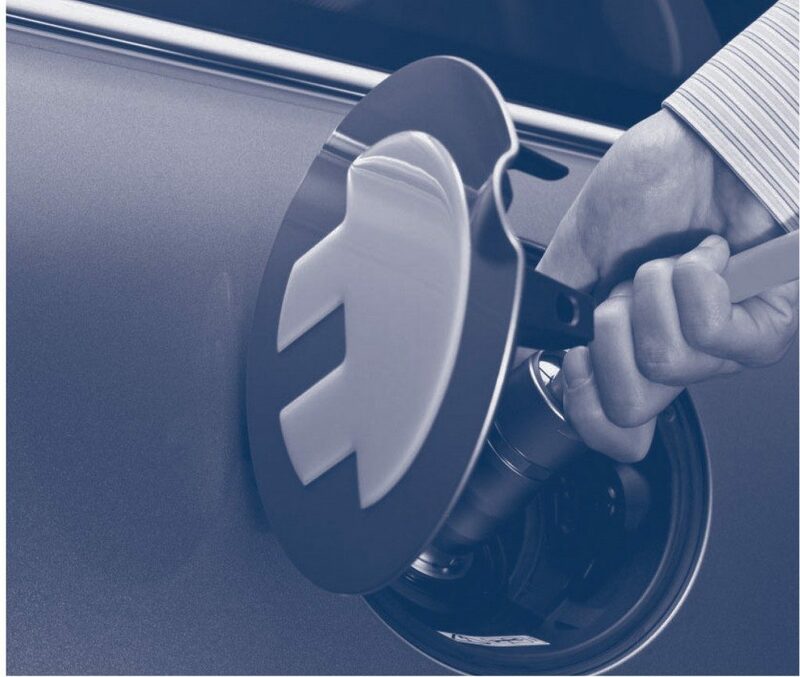 A number of surveys have established that consumers demand higher fuel economy, support standards to force these technologies into the market, and would be willing to pay when greater efficiency technologies are offered. However, automakers have been slow to introduce efficient technologies into the marketplace. Several factors brought about this predicament. Consumers have limited information about fuel economy and its impact on future expenses. To combat this, the EPA’s new fuel economy labels will provide more comprehensive information. Still, even with better knowledge of fuel economy, a major issue is consumers’ loss aversion: consumers are not willing to fully rely on possible future fuel-saving benefits in the face of uncertain future petroleum prices. Traditionally this has meant consumers have been drawn more towards other vehicle attributes (e.g., increased vehicle size, off-road ability, power for acceleration, electronic or luxury amenities) that automakers have deployed and marketed. With uncertain and unreliable consumer demand for efficiency, it’s no wonder that automakers with limited technology and marketing budgets have tended to focus more on cutting costs to stay competitive. The new US and California regulations attempt to rectify this “energy paradox,” where the fuel cost savings of new technologies would quickly pay for their upfront expense but automakers are not offering them because of questionable consumer demand. 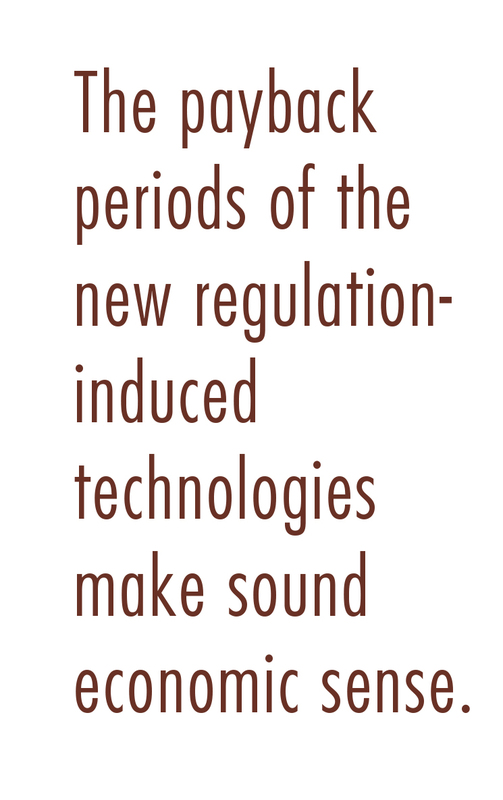 The payback periods of the new regulation-induced technologies make sound economic sense. Based on university, government, and auto industry research, the 2016 standards will add $1,000 to the vehicle cost but will increase fuel economy by 20 percent, which for the typical driver will result in a three-year payback. In future years, cost and efficiency prospects will improve as automakers and suppliers gain technology experience, innovation is unleashed, major investments are made, and economies of scale are achieved. The longer-term 2025 standards should result in another 40 percent gain in fuel economy, with an additional upfront cost of $1,500–2,000 per vehicle, meaning another short payback period of three to four years. Based on university, government, and auto industry research, the 2016 standards will add $1,000 to the vehicle cost but will increase fuel economy by 20 percent, which for the typical driver will result in a three-year payback. The societal case for efficiency standards goes beyond the consumer into broader economic issues. As noted, consumers tend to misvalue the full costs and benefits of their vehicles, and there is an even more clear-cut market failure with respect to petroleum economics and costs associated with climate change. The true costs of petroleum dependence are not accounted for in vehicle purchasing and use choices, yet these costs impose very real burdens on the US in terms of vulnerability to price volatility and oil shocks, and the geopolitics of securing our petroleum supply. Moreover, drivers pass on the external effects of climate change to future generations. Efficiency standards, in essence, internalize these future energy and environmental costs into current vehicle technology choices. The final case in favor of efficiency standards involves industrial policy. The United Auto Workers and other organized labor groups have hailed the regulation for promoting innovation and technological leadership in US manufacturing. Automotive media articles have referred to the standards as a “supplier bonanza.” Companies that make everything from turbochargers and dual-clutch transmissions to electric motors and batteries are receiving major new orders from automakers and making large investments to capitalize on the opportunity. It is precisely due to the long lead-time of the 2025 standards that the auto industry supports the regulation. The 13-year foreknowledge about the regulatory landscape allows automakers and their suppliers ample time and market certainty to make sustained large-scale technology investments in research, engineering, and manufacturing to make it all happen. Perhaps a stronger case for standards is that the US has to make this efficiency commitment just to keep up with the other major auto markets around the world. High-efficiency diesel technology has been primarily developed and manufactured in Europe, and hybrid technology has been primarily developed and manufactured in Japan due to tough standards and complementary policies in these two markets over the past ten years. Their efficiency requirements for 2020 are similar to the US 2025 standards. And since becoming the largest national auto market, China is working on standards that would require efficiency levels higher than the US as well. In the meantime, average US vehicles have gotten larger and more powerful, but with far fewer efficiency gains. Currently, about three-quarters of the world auto market is regulated for efficiency or CO2 emissions. Without California’s kick-starting the US market back into the low-CO2 and efficiency improvement game, the US would be a global laggard. In this sense, the standards help prevent our domestic auto market from becoming a “technology island” with less development and deployment of the hottest new technologies than other markets. The new regulations are not without potential pitfalls. 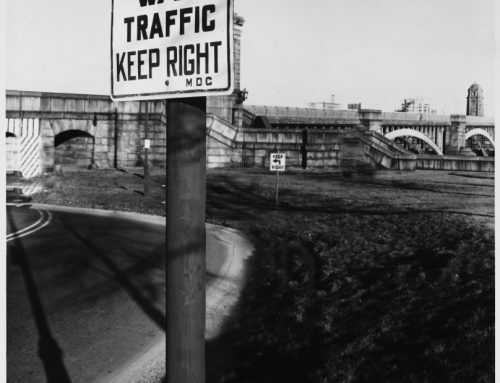 A simple summary of the regulations’ effect on vehicle operating costs illustrates some repercussions for transportation planners. Based on average vehicle statistics, consumers will spend 40 percent less on gasoline per mile with new vehicles in 2025. This cost savings equates to about a 4 percent drop in vehicle costs per mile. The demand for driving will, however, increase as the marginal cost of driving falls, exacerbating congestion. The decreased fuel consumption will also reduce the total revenue generated by fuel taxes. At current federal and California fuel tax levels, the total government “take” would drop from 2.8 cents per mile driven for new 2010 vehicles to 1.6 cents per mile driven for new 2025 vehicles. Although pennies per mile may sound small, this revenue loss will amount to almost $1 billion a year in California alone. If we did not already have enough incentive to restructure transportation funding, this will certainly force the issue. Although the efficiency standards greatly benefit industry, consumers, and the environment, there are clear limitations. 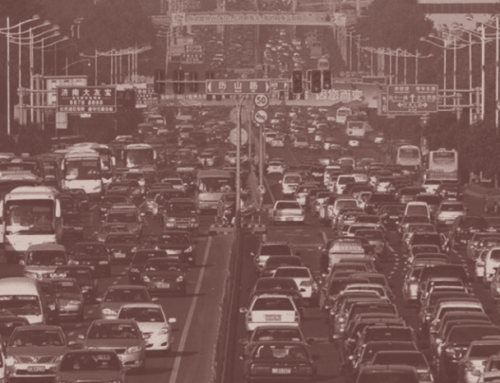 The standards are no panacea for our larger climate, travel demand, and congestion ills. If climate stabilization is a serious goal, we still need to make massive efforts to decarbonize our fuels. While not a favorite policy for many economists, vehicle efficiency standards have yet again run the political gauntlet. As ever, the efficiency standards prompt many compelling research questions. How will consumers react to a richer diversity of technologies, from low-cost incremental efficiency to advanced electric-drive propulsion? 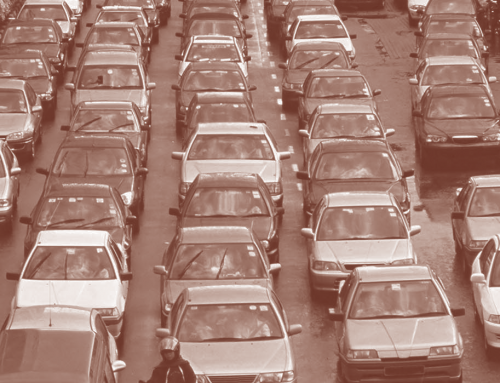 How will automakers and consumers react to the efficiency standards based on vehicle size? Will pricing mechanisms (e.g., fuel taxation or vehicle feebates) eventually be needed to better align consumers’ demand with the standards? With the expected dramatic drop in government fuel tax “take,” how will we restructure our road taxes? How will consumers react to a richer diversity of technologies, from low-cost incremental efficiency to advanced electric-drive propulsion? With all of these new and complex questions, it is not only consumers, industry, and environmental officials who should be excited about the new regulations; the research community will be engaged in studying the deeper engineering and economic truths behind it all. Who knew it was possible to have a transformative new energy and CO2 regulation that makes almost everybody happy? Perhaps no one anticipated it, but we’ll all be reaping the benefits for decades to come. 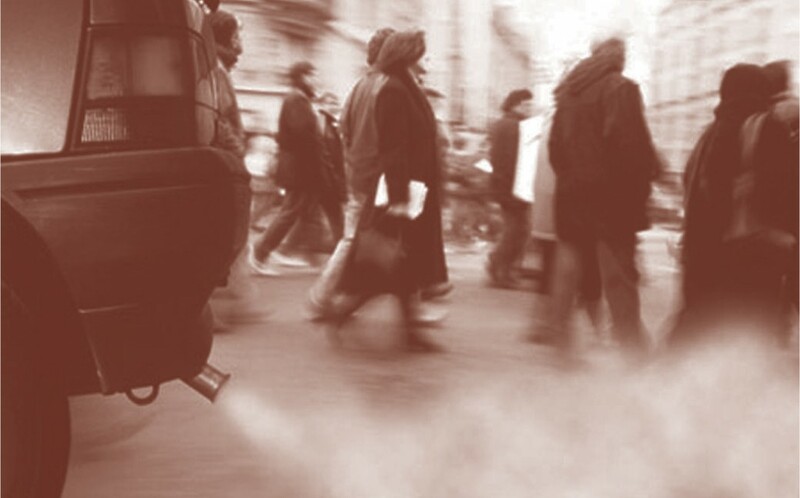 This article is adapted from the longer version, “Regulatory and Technology Lead-Time: The Case of US Automobile Greenhouse Gas Emission Standards,” originally published in Transport Policy. Nicholas Lutsey. 2012. “A Technical Analysis of Model Year 2011 US Automobile Efficiency,” Transportation Research Part D: Transport and Environment, 17: 361–369. Nicholas Lutsey. 2012. “Regulatory and Technology Lead-Time: The Case of US Automobile Greenhouse Gas Emission Standards,” Transport Policy, 21: 179–190. US Environmental Protection Agency and National Highway Traffic Safety Administration. 2012. “2017 and Later Model Year Light-Duty Vehicle Greenhouse Gas Emissions and Corporate Average Fuel Economy Standards; Final Rule,” Federal Register, 77(199): 62623–63200. 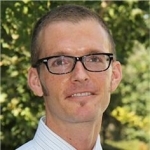 Nicholas Lutsey was a PostDoc Researcher and a California Air Resources Board Research Consultant at the University of California, Davis. He is a now a Program Director for the International Council on Clean Transportation (nic@theicct.org).